I know teaching English is at our core but this most recent app update feels like a classic example of a situation where an American might say, "if it ain't broke, don't fix it." 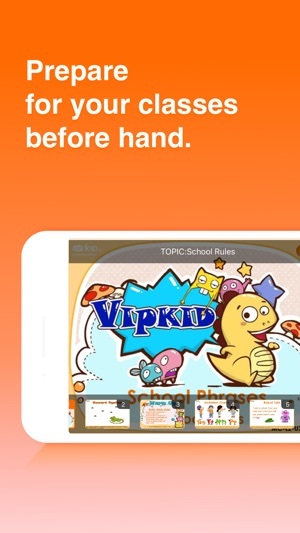 I have been using the VIPKID teacher app for well over a year now and in the past it has served me well. In fact, I really loved the app and used it more often than the online Teacher Portal. However, this update feels like a step backwards - not forward. Ever since it updated on my phone, the app has been buggy with pages not opening right when buttons are clicked. It is not as responsive. The main tab where you could see the booked lessons has been moved and replaced with a less useful workshop page that now uses prime screen-real estate. I have noticed a substantial increase in battery drain even just having this app just running in the background since the last update. I much preferred the orange-color branding on the old app layout. It felt more like classic "VIPKID" whereas this new white app design feels less brand-like to me. In my personal opinion, it somehow disconnects me from the very company I am proud to work with. I want to see Orange again- not white. I liked the old appearance and layout better. I would much prefer to see the previous app make a comeback. I only wrote this review because the change was just made and I suspect others may feel similarly. 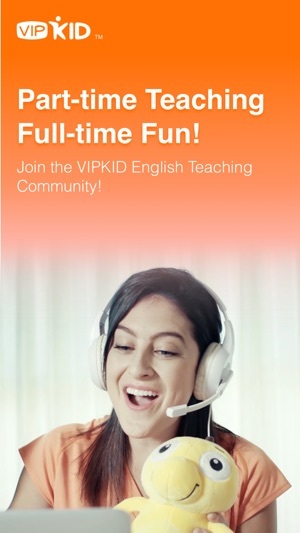 I want only the best for VIPKID. We’re sorry to hear of your negative experience and thank you for taking the time to provide feedback. We would like to understand more of the specifics of your issue. If you could please send an email to education@vipkid.com.cn, we would be happy to continue to conversation. 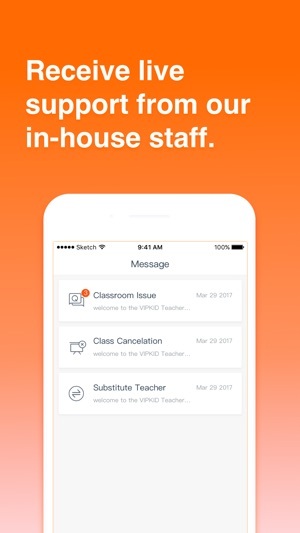 I’ve been teaching with VIPKID for 2 years and have loved all the updates to the app. 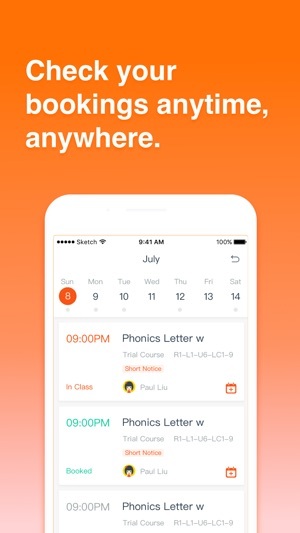 It is so convenient to review your classes in the palm of your hand while putting your kids to bed the night before but recently there have been issues. First, the interactive slides were off center and enlarged which cut off important views of the slides and impaired the ability to read TD. I sent in a ticket and they made me feel as though it was on my end but I noticed that other teachers complained as well. Recently, this has been remedied. Now, I have an issue viewing trial slides. This has been ongoing for about a month. No matter what trial I am scheduled for I only see Level 2/Unit 1 with no way to change this (and I’m not even certified for L2 anymore). Again, after sending a ticket I am being led to assume this issue is on my end. I have restarted my phone, uninstalled/ reinstalled the app. Nothing seems to help. I know this is, once again, on their end. Hopefully, this is fixed soon as well. What happened to my class schedule!?!? I really like being able to see how many class I had for the full day especially after the frenzy. Now, I have to see I have 3 classes and click to see and count the rest of them. This is very frustrating and does anyone really have time for that? Also, I loved the fact that the class I was in (along with some of the following classes) use to show on the home screen. This location was VERY beneficial when needed to instruct a student on how to drag/drop and click. I could easily see the class I was in , click it, easily find the slideshow, and go to that slide. Now, I have to see the 3 classes, click "all classes", navigate to the student and the slides, and finally get to the slide I'm on. It wastes a lot of unnecessary time and sometimes this is the only way the student (and even the parent) understands what to do. Please bring back the true class number and a way to click to the current class to the home screen! © Beijing Da Mi Technology Co., Ltd.